This week we provided you, our readers, with a brief history of where the famed BMW 5 Series began. Now, with the gracious support of our good friends at BMW North America we are able to show you the next edition of the 5 Series set to go on sale this June; the all new 2011 model code-named F10. (Full gallery after the jump). 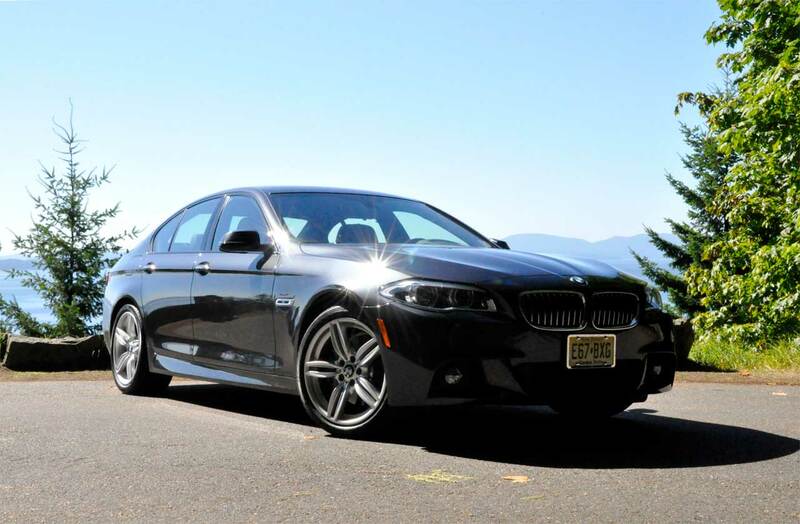 The next generation 5 series is a distinct departure from the outgoing model. It is not controversial from a design standpoint and does not feature a front clip made entirely from aluminum. What it will be known for is its increased luxury and advanced technology in, as some would say, a conservative package. From the start the ’11 5 Series will be powered by a choice of two turbo charged engines. The 535i with N55 dual scroll inline six (300 hp/ 300 ft-lbs.) and the N63 twin turbo V8 (400 hp/ 450 ft-lbs.) giving the 550i some serious grunt. The engines both feature the latest in efficiency techniques while not sacrificing performance or drivability. Looking at this new model it is easy to see where the design inspiration came from; it is a combination E90 3 Series and F01 7 Series. This is not a bad thing since both cars look as good as they perform. This 5 series departs from both models in the intense sculpting of the hood and along the side character line. Most photos do not do these undulations justice, as the peaks and valleys on the hood are very impressive and give a hint at the car ‘s sporting intentions. Like all recently introduced BMWs the front twin kidneys have grown to allow the choice of engines to be cooled effectively and to offset the look of the new pedestrian safety requirements as per the EU. Throughout the exterior there are littlenuances, such as little spoilers on the rear lights that are not only there for design language but for aerodynamics. BMW worked this car over thoroughly in the wind tunnel to make it as slippery as possible. The improved aerodynamics are apparent from the side; the front wind screen is much more raked compared to the upright stance of the outgoing model. Not only being great for aero, this also gives this sedan a more streamlined look. 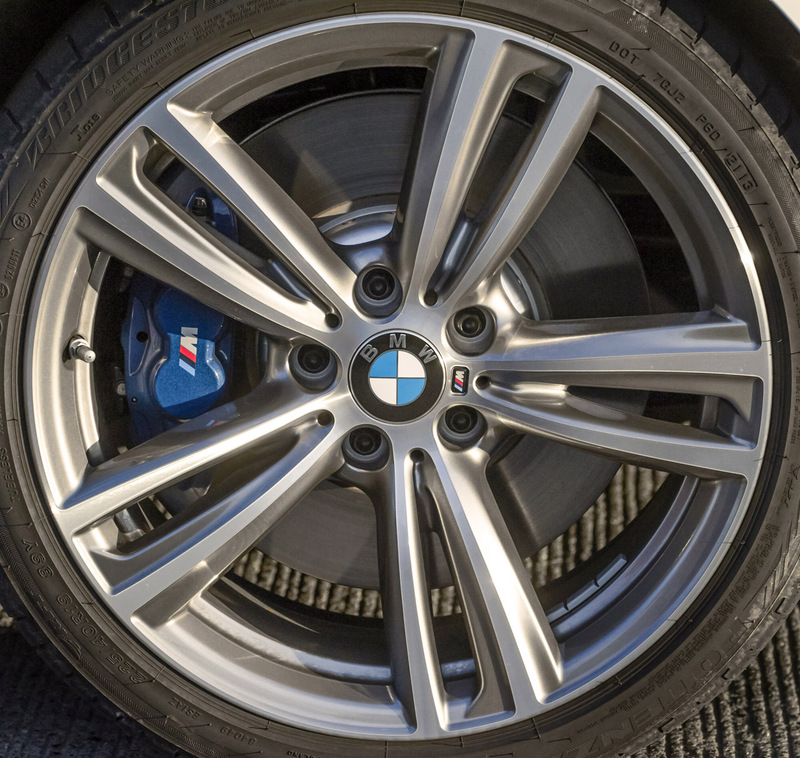 Although this model does not feature an entire front clip of aluminum like the E60, it utilizes a comparable amount of the material throughout. Much of the exterior sheet metal is made of aluminum as are the suspension components. This helps to keep the weight in-check as much as possible without the added cost of exotic composites. High-strength steel has been utilized in key locations to improve safety and to increase rigidity. There will initially be two models of the 5er available in the states, the 550i and the 535i (with a US exclusive 528i at a later date). Aside from the differences in the motor and standard equipment there will be other cues aside from the badge to indicate version of the car one is driving. The wheels will be the most obvious as the styles will vary, but another cue will be at the rear of the car in the form of the exhaust pipes. While the 535i and 550i will both feature an exhaust pipe on both sides of the car, the tips will be different. The 550i will have trapezoidal tips and the 535i round. There will be a few other minor trim variables as well. The interior of this new model follows the lead from the 7 Series and 5 GT and it is just stunning. Most automotive journalists over the years have complained about the lack of personality to BMWs interiors, well they will now have to find something else to nit-pick (will it be the steering?) because this 5 is top-notch in that category. Borrowing from the previously mentioned stable mates are the Black LCD screens in the gauge cluster and climate controls, miscellaneous switches/knobs, seats, and the newest generation of iDrive. The driver oriented dash (like the E39) features a change in the angle of the trim as it approaches the passenger; giving it some life and character rather than a flat straight slab of wood- kudos to the designer. All of the buttons, knobs and handles have a high quality feel to them. There are differences from the other models mentioned, the materials used are not as high end as in the 7 and some of the placement is different than in the more utility based 5 GT. An additional throwback to the E39 are the pistol grip like door handles which are much more practical and functional than the outgoing model ‘s. Being ushered in with the 2011 5er, to the welcome of many driving enthusiasts, are the new “pull/pull ” style shift paddles. In this setup each paddle has a singular shifting purpose, either up or down. One of the welcomed little things that sometimes go unnoticed is the fobvallet (can ‘t really call it a key!) in between the Americanized cup holders. This is a nice handy place to keep it for someone that has the tendency to have things fall out of their pockets on a regular basis (myself especially as I seem to lose something every time I drive a different car!). BMW has increased rear leg room by half-an-inch making rear passengers feel even more relaxed and comfortable. The bigger story, space-wise, is the trunk -it is cavernous. You can easily fit whatever (clubs, strollers, enough groceries for a family of eight) you want in there as long as it is not taller than the trunk itself. This feature is nice, considering from all accounts, we may not see a sports wagon form on our side of the pond. If there is one gripe to have with the interior on this 5 Series it would be the center console mounted ashtray (not that we are nit-picking!) It appears as it was just dropped in there at the last moment, as an after thought, ruining a spot where a nice coin holder or storage nook could be placed. It was unknown at the time of these photos if the US would be receiving this ashtray or if there would be a storage area in its place.We would appreciate the latter. The amount of available technology in this platform is staggering. There are enough standard features and options in this category to deserve its own article, and it will at a later date, so for now we will just focus on the new exclusive content. As a first for the 5, it will feature electric power steering. This is said to reduce the drag on the motor and to improve overall efficiency but there is another reason for it- automatic parking. No, this is not a Lexus and it is not going to crash! BMW has developed a system that uses side mounted sensors (located in the side turn signals), sophisticated software and components to allow the car to park itself. It calculates the size of a space as you drive by, decides if you can fit and then does its magic. There are some steps to this process that we will further detail once we have some actual experience using the system, though it sounds promising for those parking impaired. The 5 will be the first car to have the radar for the adaptive cruise control mounted behind the lower bumper fascia. All other models have this expensive component mounted on the exterior of the bumper where it can be damaged by debris or worse yet, an errant parking attempt. 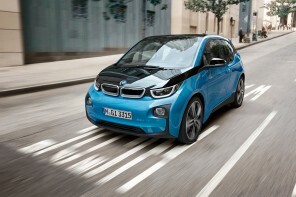 If looks and build quality are any indication of how this car will drive, BMW has a hit. This newest 5 builds on the strengths of its stable mates while also revisiting many of the things that made the first 5 Series models such a success. Final judgment will be when we have the opportunity to drive the car but things look very promising! The more technology goes into these cars the more expensive they are to maintain. BMW charges and arm and a leg for their replacement parts. I cant imagine how expensive this car will be to own after 50k miles. When can we expect the NEW 5 Series BMW with a diesel engine stateside? David- I completely agree. So does “Bimmer” magazine, which calls the E39 5 Series the last “viable” used 5 Series for used car buyers, since the E60 has so much more technology built in and will cost much more to maintain. Production i8 Spied at PhotoShoot?